As well as Fiber, a key change is in how component errors are handled. How the performance characteristics of V8’s Turbofan will affect the way we optimize in Chrome 59+ and Node 8.3+ situations. The latest in Eric’s functional programming and compositional software techniques series looks at classes in detail. 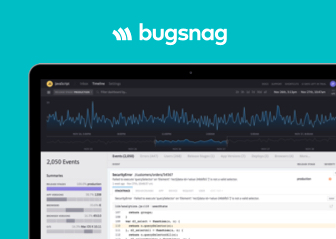 Get real-time crash alerts and collect detailed diagnostics so you can fix errors for your users. See deminified stacktraces with support for sourcemaps. Cut through front-end noise so you can efficiently assess the impact of errors. Learn more. Learn to quickly create different kinds of charts and visualizations for Vue.js apps, using three wrappers for the Chart.js library. One developer’s take on a question asked on Reddit 2 weeks ago that attracted a lot of debate over what priorities JS developers should have. Trusted by 150k developers. Add in-app notifications, live dashboards & more to any site in minutes, for free. Brings JSDoc support to the popular Python Sphinx tools. Useful to reduce image sizes client-side before uploading. Demo here. Timezone-friendly date and time manipulation. Node and browser.